Thanks to Walgreens for underwriting this post. I was paid as a member of the Clever Girls Collective, but the content is all mine. 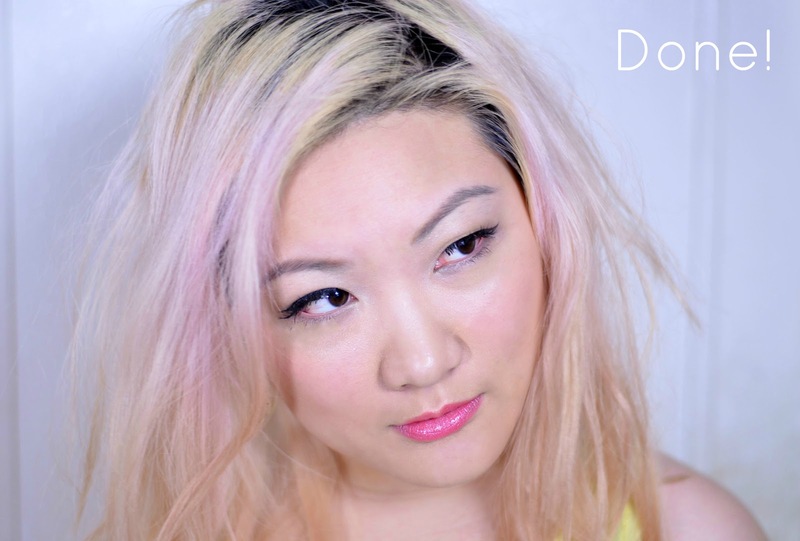 As soon as the warm weather rolls around, my makeup routine gets shifted a little (a lot). I will start breaking out the bronzers and lighter foundations. This also means using lighter colors and less eyeliner for me. (I normally wear very dark eye makeup!) 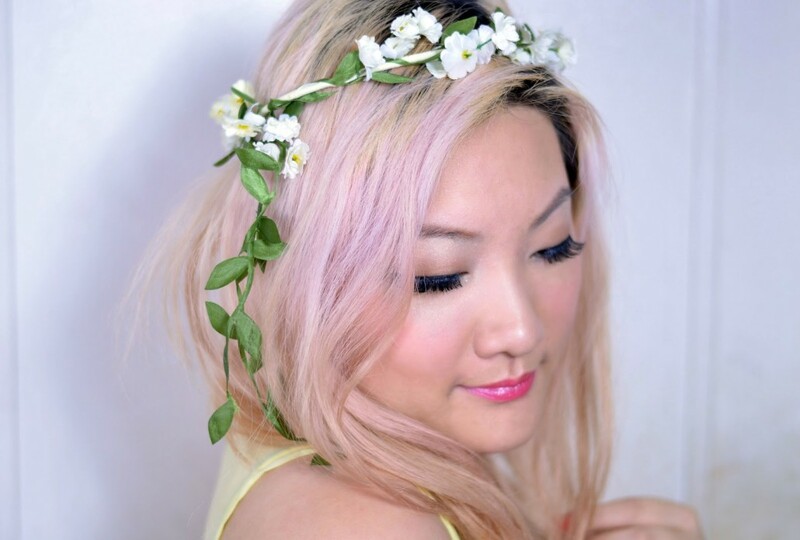 For this post, I did a very lightweight fresh and pinky look — great for just about any summer activity! Alternately, you can use peachy or orange tones instead. 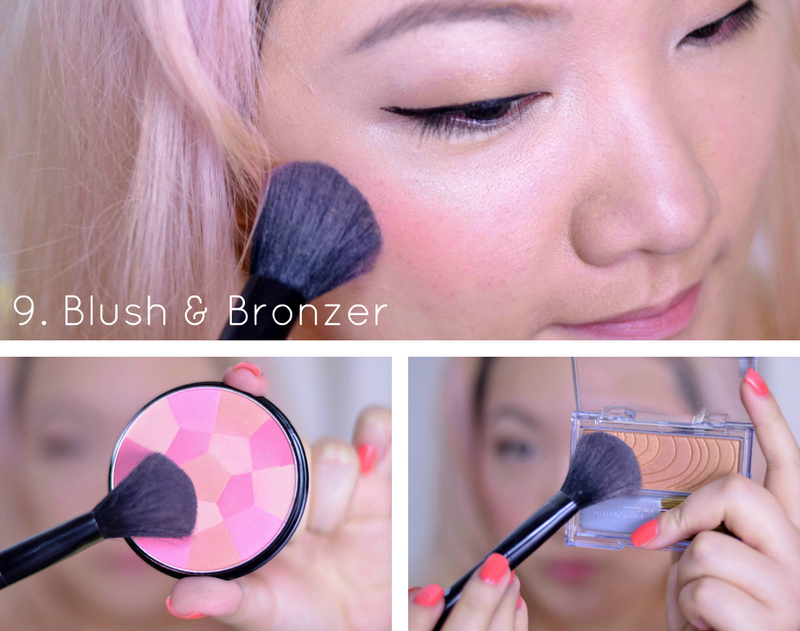 If you like to see step-by-step tutorial on the look, follow the jump! Since this is a summer look, I decided to use the most lightweight foundations I own. Foam! It contains SPF 16 for added protection against the sun’s rays. Just blend into your face with your hands. I used the bronzer as eyebrow filler and primed my lids with primer that came in the NYC eye palette. I wanted to go with a very neutral eye, so first I used the gold toned shadow from the Revlon eye palette as an all over color. Then, I added the darker copper shadow into my crease and above my lash line to add some depth. 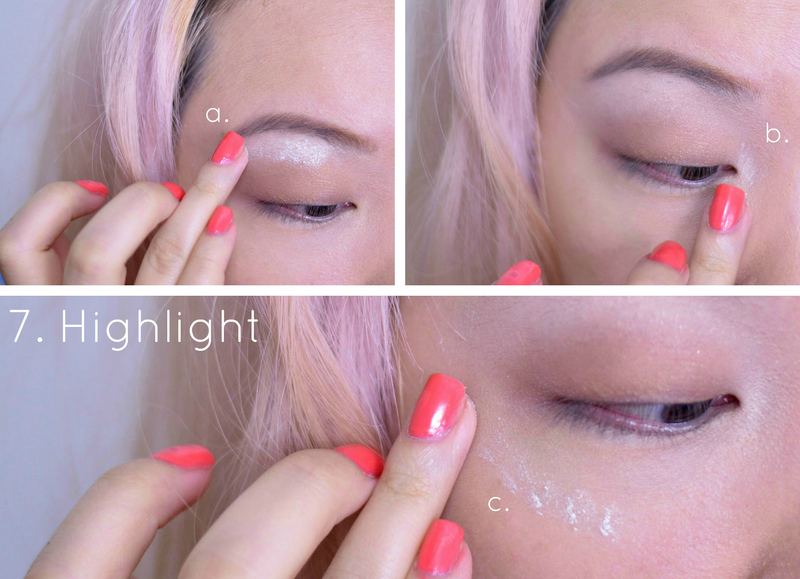 For that dewy fresh face look, highlight! I’m using the highlighter from the NYC eye palette to bring more light to my browbone, inner corners of my eyes and right above the cheekbones. I always need to line my eyes. 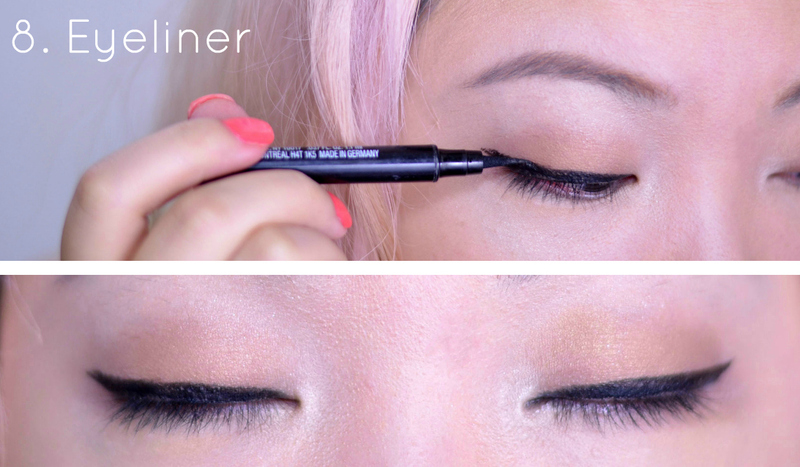 This time I am going for a thinner winged liner look, lining as close to the lash line as possible. The winged tip is also not as exaggerated as I normally do it. To really complete the fresh face look, add some flush to the cheeks, and then slightly contour your face with the bronzer to add shadow and depth without looking too tan. I normally apply the bronzer in the hollows of my cheeks, jawline and temples. If you have lush lashes, then the falsies are optional, but since I’m going light on the eye makeup, I’m gluing these babies on. 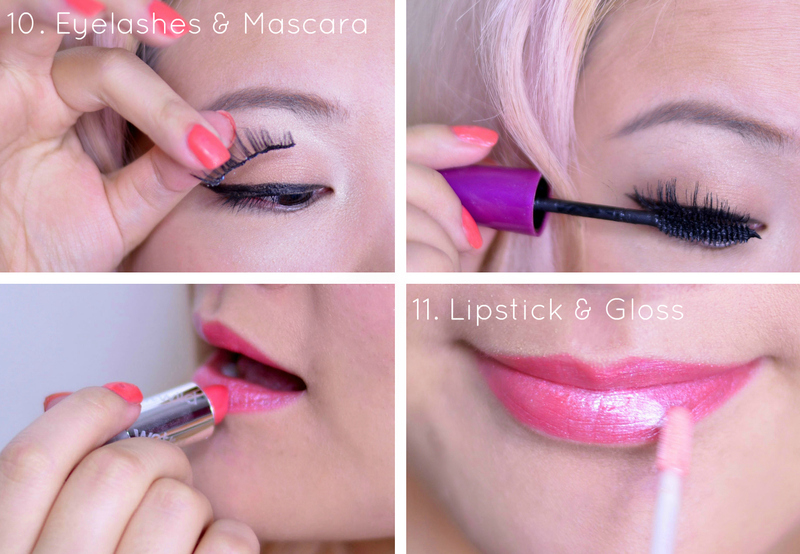 Blend your natural lashes with the false ones with mascara. For the lips, I went with a very tart pink color and a mellower gloss over it to balance it out.